MILFORD, MA -- It's not all blood, sweat and tears on the gridiron. That was definitely apparent for one young football team in Milford, Mass., when Silento's song "Watch Me Whip" came on. 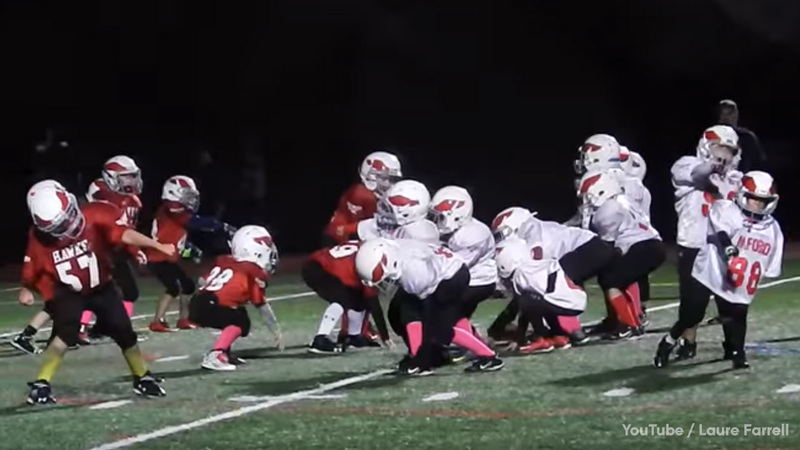 Instead of focusing on the actual play on the field, the Mighty Mites did the "Whip" and "Nae Nae." The scrimmage at halftime of a high school varsity game basically turned into a dance party. The kids didn't seem to mind, but who knows if the coaching staff did.